The BIOMETORE Database is being developed under the SeaBioData (https://www.ipma.pt/pt/investigacao/eeagrants/seabiodata/) project. 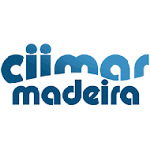 The database will include in biological and oceanographic data collected during the eight BIOMETORE surveys in seamounts of the Madeira-Tore and Great Meteor seamounts chains, together with satellite data on human pressure. The database will be maintained by IPMA servers to ensure the integration, organization and long-term preservation of all data relevant for management and sustainable use of the seamounts. The access to the database will be used as the main workbench for data analyses. Database entries will be processed along with species identification, archiving together with the results from the surveys. Together with the information on the specimens sampled in the surveys, a reference biological collection will be created to guarantee that the biological material and associated information will be fully accessible for present and future research. A diverse set of representatives of species from various taxonomic groups is expected to be collected. In addition, data analysis outputs will be presented and discussed between partners in the scheduled workshops and meetings described in the project. A database with information on the environmental variables, acoustics and video images is planned to be constructed, as well. Georeferenced data, such as information on anthropogenic pressures will be obtained via DGRM, (VMS data) or purchased (AIS data). These data will be maintained at the responsible institutions. uguese marine waters, at far distance from the shore, there are two important assemblies of submarine reliefs , the submarine archipelago Great Meteor and the complex Madeira-Tore.